Anne Hathaway is out here dragging herself for hosting the train wreck that was the Oscars in 2011. She left us no choice but to stan forever. The 2019 Oscars have finally arrived, and TBH, it seems to be messier than a high school talent show. But we still need to see if Michael B. Jordan will show up in a harness and how everyone will fare without a host, so the ceremony must! Go! On! 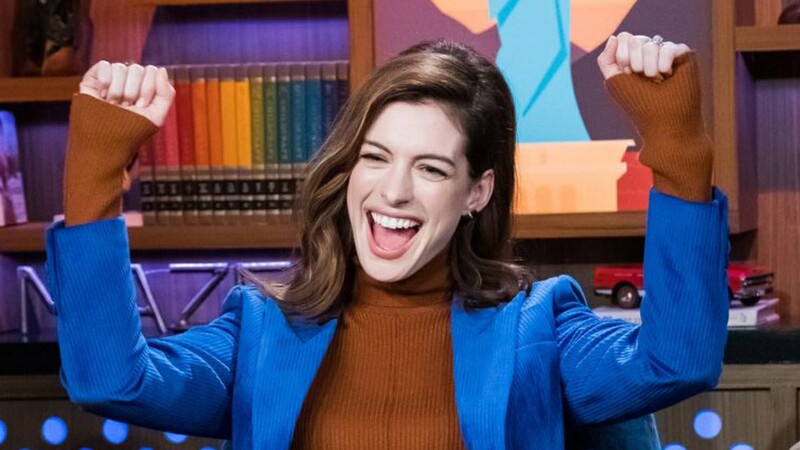 Anne Hathaway definitely realizes this, and is here to offer a word of encouragement to everyone while simultaneously dragging herself in the best way possible. Anne, as you might recall, is the woman who gave us the Chanel boots quote that I have definitely exhausted despite not owning a single pair. She also won an Oscar for her role in Les Misérables, but is super infamous famous for hosting the Oscars with James Franco back in 2011. It was...different, and Anne realized it then and is making fun of it now. Just before the red carpet show began, Anne posted a photo from her hosting gig and captioned it, "No matter what happens with today's show, just remember, it's already been worse. Happy Oscars!" Last month, Anne joked about her go at hosting and pretty much said James gave her nothing to work with, which is a fair observation. She explained, "God, I just remember the night before we're about to go up there, and me turning to everyone and going, 'Am I too much? This feels really big to me.' And the producer just went, 'No! Don't do less. Do more if you need to.' And I was like, 'Oh okay, I guess it's going great.' And I didn't realize what was happening about that whole thing." Yikes. Maybe someone should give that "do more" advice to whoever organized the Oscars this year? Like, maybe do more and get a host next time? IDK. IDK. Let's see how it all unfolds!